The Israeli authorities have stepped up apartheid practices in the Palestinian territories, following the decision by US President Donald Trump to recognize Jerusalem as the capital of Israel, Euro-Mediterranean Observatory for Human Rights said in a new report. Since Trump's announcement, Israel has notably been expanding settlements and plans to annex the West Bank, not to mention the high frequency of arrests against Palestinians by applying discriminatory military rules and policies to which only Palestinians are subject, says the Euro-Mediterranean Human Rights Monitor. Israeli officials' statements regarding the expansion of settlement construction in East Jerusalem and the West Bank have increased dramatically since US President Donald Trump's Jerusalem move, according to the report. The Israeli Minister of Housing and Construction, Yves Galant, announced just two days after Trump's decision that the Israeli government intends to build 6,000 new settlement units in East Jerusalem, bringing the number of units to a total of 63,000 units. This is a serious development in the Israeli settlement construction, the largest in two decades," says Euro-Med. 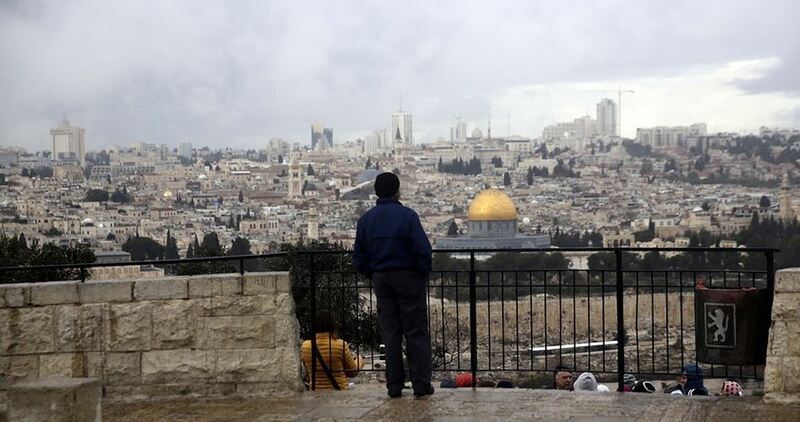 Euro-Med stresses that the new expansion of the settlements would mean more separation among Palestinian neighborhoods in Jerusalem, with more than 2,000 Israeli settlers in the heart of those neighborhoods. These settlers are militarily protected by Israeli forces, making the Palestinians at risk and more vulnerable to threats. On the other hand, Israeli control over Palestinian neighborhoods in East Jerusalem has a negative impact on providing infrastructure and transportation services to the Palestinians, since the Israeli authorities are responsible for providing these services. In return, these services are provided to Israeli settlers, despite the Palestinians' obligation and commitment to pay taxes. Furthermore, the number of clinics for women and children in Palestinian neighborhoods is four times less than those in Israeli settlements. Euro-Med reiterates its assertion of the report issued by the United Nations Economic and Social Commission for Western Asia (ESCWA), which was later withdrawn, and which pointed out that Israel is imposing apartheid on the Palestinians, noting that the Israeli authorities seemed to be applying racist practices that affect the demographic presence of Palestinians in East Jerusalem, including the refusal to grant building permits to Palestinians, which would expose more than 20,000 buildings to a continuing demolition threat by the municipality of the Israeli government. In addition, the Israeli government practices a policy of threatening to revoke the identity of the residents of East Jerusalem, if they leave the city for any reason. This policy has resulted in the loss of 14,595 Palestinians to their Jerusalem IDs and residence permits over the past years. In the same context, Euro-Med documented the Israeli authorities’ waging of a wave of large-scale arrests of Palestinians, following protests that erupted in the Palestinian territories following the decision of US President Trump to recognize Jerusalem as the capital of Israel. In this regard, Euro-Med said that the Israeli forces have stormed the West Bank and East Jerusalem more than 278 times since December 7, 2017, following the decision of President Trump, which led to the arrest of 601 Palestinians, 414 of them are from the West Bank, including 119 children and women, and 187 from East Jerusalem, including 45 women and children. 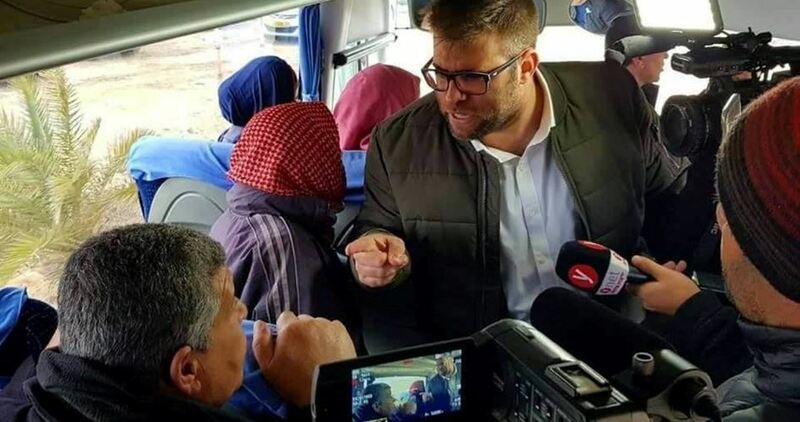 Most of the arrests are based on military orders and laws that Palestinians living in the West Bank and East Jerusalem are subject to, while Israeli settlers living in the same areas are not. Under these military orders, Palestinians are deprived of many basic rights, such as the right to peaceful expression and protest, or participation in political parties. These acts are criminalized when it comes to Palestinians alone and they are punishable by up to ten years in prison. According to Euro-Med, the prison itself is subject to discriminatory criteria that distinguish between Palestinian and Israeli prisoners. The Palestinians are classified as "security prisoners." Under this classification, many of the rights granted to non-security prisoners, such as the right to conjugal visits or the right to make telephone calls. Also, Palestinian prisoners do not benefit from the early release system, which is often granted to other Israeli prisoners. This system states that the Israeli perpetrator of a murder receives privileges in prison greater than those obtained by a Palestinian convicted of belonging to a Palestinian political party or participating in an anti-occupation demonstration or stone throwing, simply because he is classified as a "security prisoner." Euro-Med stresses that the racist practices by the Israeli authorities in the Palestinian territories contradict the provisions of international law and international conventions such as the Fourth Geneva Convention and its Protocol I, which prohibited the confiscation of property belonging to the inhabitants of the occupied territories, and the Convention on the Elimination of All Forms of Racial Discrimination. These conventions defined racial discrimination as any distinction, exclusion, restriction or preference based on race, color, descent, or national or ethnic origin which has the purpose or effect of nullifying or impairing the recognition, enjoyment or exercise, on an equal footing, of human rights and fundamental freedoms in the political, economic, social, cultural or any other field of public life, which Israel systematically practices against the Palestinians. Israel's Ministry of Security on Monday officially endorsed a decision issued on 28th June 2017 to label the Palestinian National Fund as a "terrorist" organization. 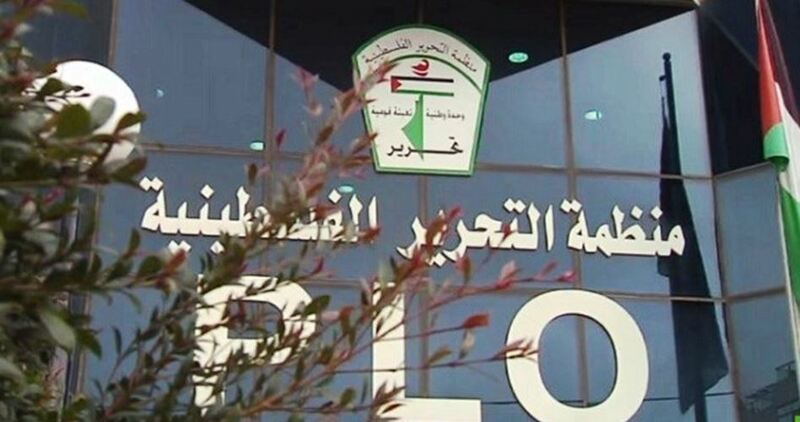 Member of the Executive Committee of the Palestine Liberation Organization (PLO), Hanna Amira, denounced the Israeli "provocative" decision, saying that it falls in line with a US-Israeli policy targeting the PLO and the Palestinian Authority. Amira told the PIC that Israel is attempting to put more pressure on the PLO, adding that this decision will result in very serious repercussions on the bank transactions between the Palestinian National Fund and banks in the West Bank and will adversely affect the PLO employees who receive their salaries from the Fund. Amira expressed his fear that the Fund may be subjected to international pressures by preventing the transfer of funds and grants especially those coming from Arab countries since the Palestinians living there donate 5% of their salaries to the National Fund. This procedure has been practiced for years. He pointed out that the Israeli decision will also affect some Palestinian institutions operating in the West Bank and Gaza Strip. The Palestinian official affirmed that this decision and other Israeli arbitrary and provocative decisions will be on the agenda of the next meetings of the Executive Committee. I know it is still a taboo to call Israel a Nazi or Nazi-like state. However, an honest writer should always be guided by his or her moral conscience and never succumb to the tyranny of public opinion or prevailing media discourse. An honest writer, let alone an honest person, should therefore never flinch from calling the spade a spade. If this task proved too risky, then another job ought to be sought immediately. I believe that we Palestinians who live under the yoke of Zionism here in Occupied Palestine know Israel better than anyone else. That is why we tend to reject with utter contempt lectures by condescending outsiders, irrespective of their intentions, on how we ought to relate to our tormentors and the choice of words we use in describing the killers of our children. I am not calling Israel a Nazi-or Nazi-like entity because I am convinced that Israel used the very same tools in effecting the Nakba that the Third Reich used in effecting the Holocaust against European Jewry in the course of the Second World War. No, Israel, which for me and my people is and will always be a gigantic crime against humanity, has not perpetrated a holocaust in the classical sense against my people. “It is like tweedledum and tweedledee! Yes, numerous massacres have been committed and continue to be committed, even on a daily basis, by Zionist Jews against virtually unprotected Palestinians who are also betrayed by the world, including their impotent brethren. Nonetheless, no Palestinian would candidly claim that Israel is adopting the same crimes against the Palestinians that the Nazis had used against European Jewry. But, if so, what then justifies calling Israel a Nazi or Nazi-like entity? Well, Israel is a Nazi entity because it employs the very same perceptions and doctrines against its victims (the Palestinians) that the Nazis had used to demonize and dehumanize their victims (e.g. Jews). I am alluding to cruel dehumanization that eventually created the mental underpinning among the Nazis which eventually made the Holocaust possible. Needless to say, the Holocaust would have never occurred had it not been for that underpinning. Today, most Israeli Jews hold extremely racist (even criminally) racist perceptions of the Palestinians. The Palestinians, if only for being Goyem, are viewed as children of a lesser God, whose lives are therefore worthless! Whether we like it or not, this malignant combination of hatred, racism, and dehumanization constitutes the mental underpinning of a possible Zionist Holocaust against the Palestinians. Terrorist! It is now the mantra the invoking of which justifies anything, including of course, the cold-blooded murder of a handicapped person whose legs had to be amputated as a result of another previous Israeli action. I remember that the T-word was often used to describe a person who killed an innocent person. Today in Israel, anyone advocating basic human rights, especially for Palestinians, is a terrorist or a potential terrorist. Just ask Naftali Bennett or Avigodor Lieberman! Or probably Donald Trump! To conclude, a state can be Nazi even without carrying out a holocaust against another people. Being mentally prepared to carry out a holocaust is sufficient to qualify for the Nazi title. This is because the rest (the modalities of executing the decision) belongs to the realm of possibilities and circumstances. It is very much like taking the decision to murder someone. The decision is the essential part whereas carrying it out is just a detail. 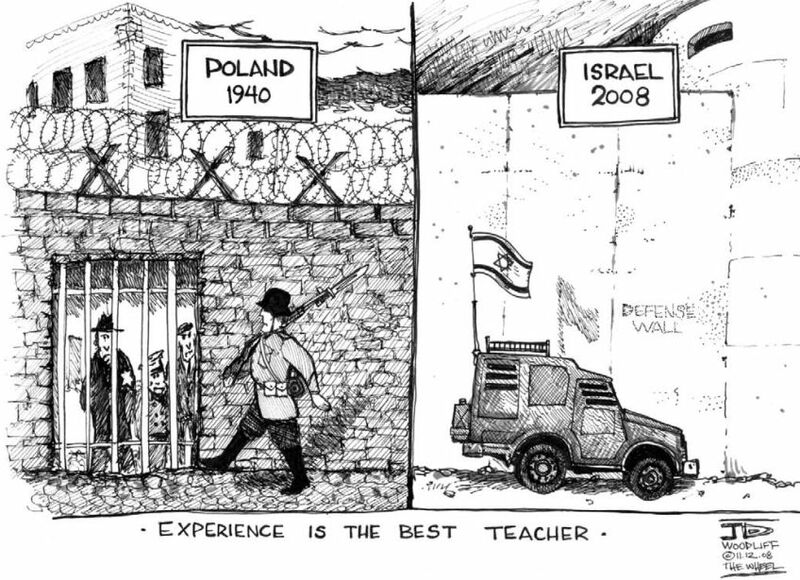 I know that some Zionist hasbara operatives will rile, rant and rave against any comparison between Zionists and Nazis. And the readily-available charge of anti-Semitism will be their ultimate weapon of choice to shut critics up and keep the sacrosanct heifer unscathed. Well, I don’t give a damn about either the heifer or its defenders. I have been through it all; from creation to destruction and one more barrage of abuse by the shipyard dogs of Hasbara wouldn’t harm much. But before I go, I do want to quote Santiago Alba-Rico, the Spanish philosopher, who adamantly refused to be silenced or intimidated by Zionist hasbara doctors who are prompted to think that no other pain should be compared to the calamity of the Holocaust and therefore Israel must remain above the laws of men and never be criticized regardless of whatever it does to the Palestinians. Israel’s Prime Minister Benjamin Netanyahu said he supports a gradual cutback of American funding to the United Nations Relief and Works Agency for Palestine Refugees (UNRWA). According to the anonymous official, Israel prefers a gradual cutback of U.S. funding. The Israeli official’s statement comes after U.S. President Donald Trump and his envoy to the United Nations, Nikki Haley, said that the United States would cut aid to the Palestinians if they did not return to the negotiating table. 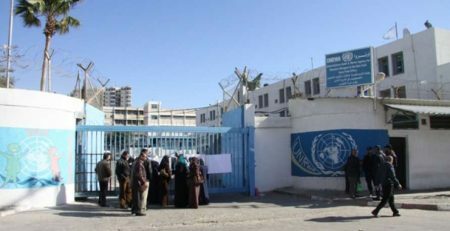 The United States gives over $300 million a year to UNRWA, which constitutes one third of the agency’s budget. According to diplomats familiar with discussions on the matter, it is now mainly Haley who supports Netanyahu's suggestion, in keeping with the policy of penalties she declared after the vote in the UN General Assembly against Trump’s recognition of Jerusalem as Israel’s capital. Following the 1948 Arab-Israeli conflict, UNRWA was established by United Nations General Assembly Resolution 302 (IV) of 8 December 1949 to carry out direct relief and works programs for Palestine refugees. The Agency began operations on 1 May 1950. The Agency’s services encompass education, health care, relief and social services, camp infrastructure, and emergency assistance. Al-Aqsa Mosque preacher, Sheikh Mohammed Husein, on Friday condemned the decisions made recently by the Israeli occupation and the US on Jerusalem and said they are null and void. 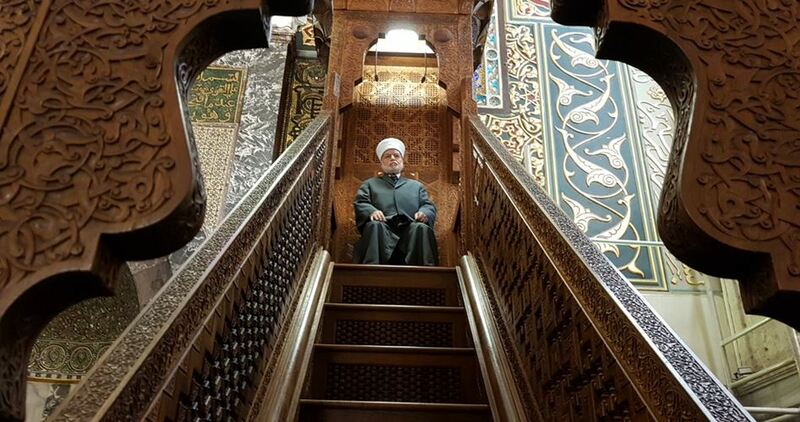 Sheikh Husein stressed that the Israeli unjust laws passed lately fall in line with Israel's attempts to legitimize its occupation of the Palestinian land and the crimes committed against the Palestinian people. Husein slammed the Knesset's approval of a bill that allows imposing death penalty on Palestinian prisoners and described it as "racist par excellence". He also criticized the Arab countries' procrastination in implementing the resolutions of the previous Arab summits and closing their embassies in all countries that plan to move their embassies in Israel to Jerusalem. Thousands of Palestinian worshipers from Jerusalem and the 1948 occupied Palestine performed Friday prayer at al-Aqsa Mosque despite the cold weather, heavy rain, and tightened Israeli security measures. The U.S. Vice President Mike Pence, who was scheduled to travel to Israel in January, is indefinitely postponing his trip once again. A visit to Israel by Pence, that had been delayed from last month to mid-January, did not appear on a list of visiting foreign officials for this month, Israeli media reported. Pence originally postponed a planned mid-December visit to Israel allegedly so he could preside over the vote on a tax overhaul favored by Trump. It was believed that Pence might have been needed to cast the deciding vote in the closely divided Senate. A White House official at the time said that Pence would visit in mid-January instead. 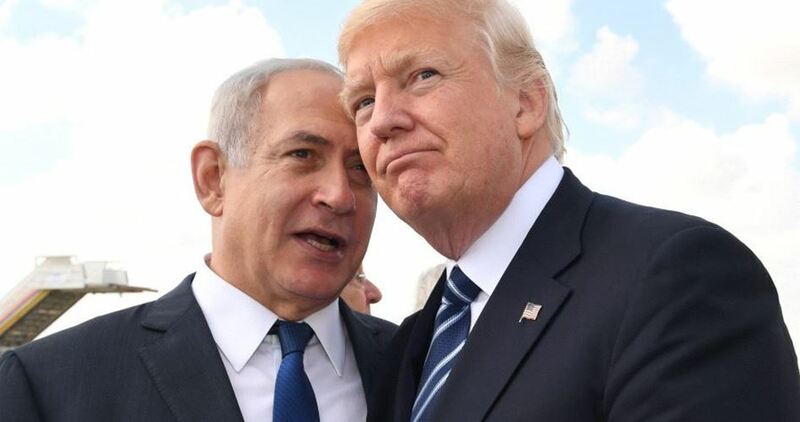 The trip was originally meant to encompass Israel, the Palestinian Authority, and Egypt but was modified because Palestinian leaders have refused to meet with Pence in the wake of President Donald Trump’s recognition of Jerusalem as Israel’s capital. 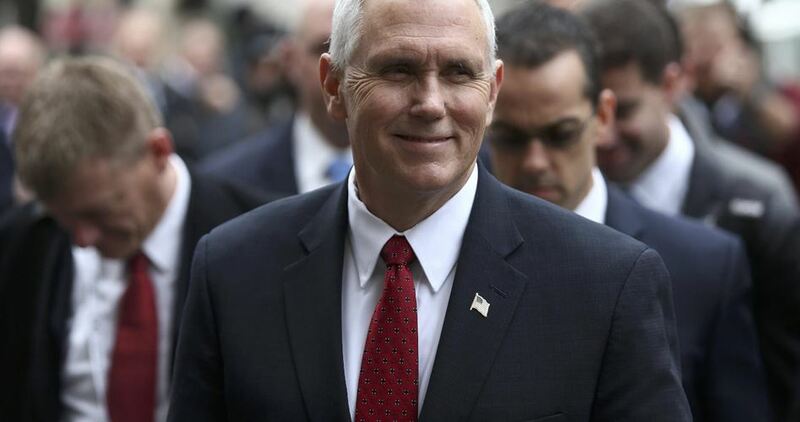 It also has been suggested that Pence has indefinitely postponed his trip due to the refusal of Palestinian officials, as well as Muslim and Christian clerics in Jerusalem, to meet with him over the U.S. announcement on Jerusalem. 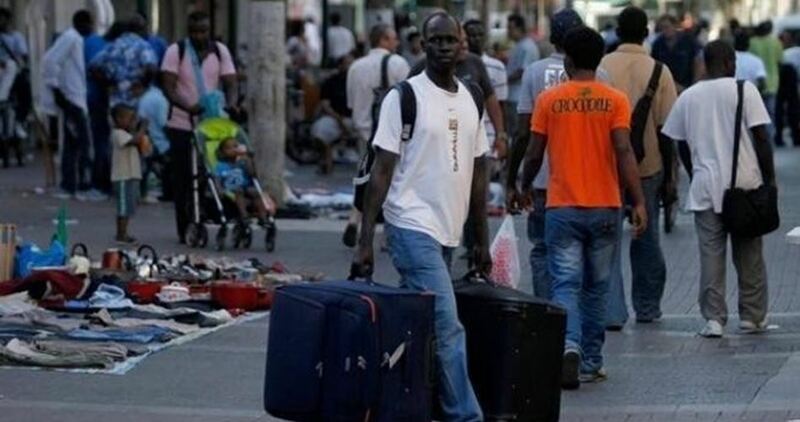 The Israeli government is expected to approve Sunday the allocation of NIS 200 million a year on top of 180 new jobs for the Population and Immigration Authority as part of a large-scale campaign to remove 42,000 African migrants from Israel. According to the proposal by Prime Minister Benjamin Netanyahu, Interior Minister Aryeh Deri and Finance Minister Moshe Kahlon, the Israeli government will offer each African national $3,500 to start a new life elsewhere, Ynet News has reported. Meanwhile, the additional manpower will be employed in checking existing asylum requests submitted by Sudanese and Eritrean nationals, increasing enforcement against employers hiring infiltrators, and organizing the voluntary departure and subsequent deportation of infiltrators to a third country. The large number of immigrants and their concentration in city centers, particularly Tel Aviv, has had various negative consequences, the proposal claims, including the damage caused to the fabric of life in Israeli society, the undermining of settlers’ personal security, an increase in crime, and the significant damage caused to the job market. In recent years, the Israeli government has taken a series of steps to deport immigrants to third countries, in a move widely condemned as a sign of deep-seated racism and xenophobia. "I have promised the residents of south Tel Aviv and other low-income neighborhoods across the country that I would take any measure to remove the infiltrators, and I am now keeping my promise," Israel’s Interior Minister Aryeh Deri told Ynet.